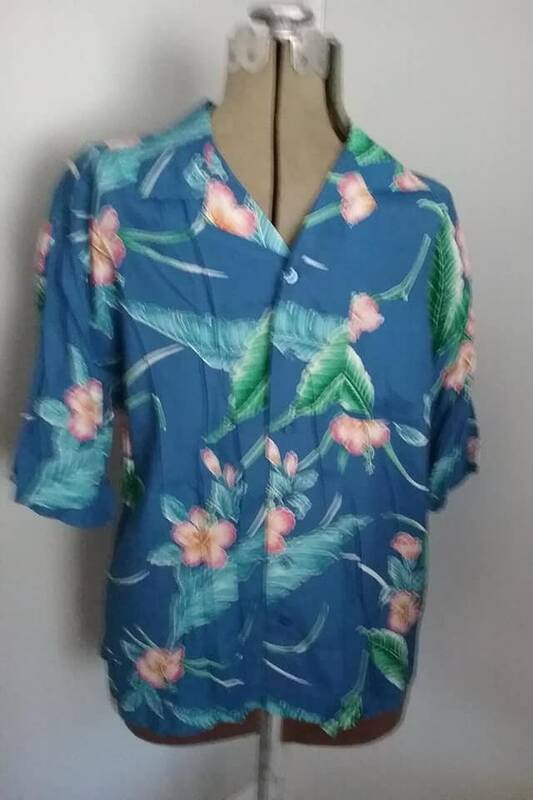 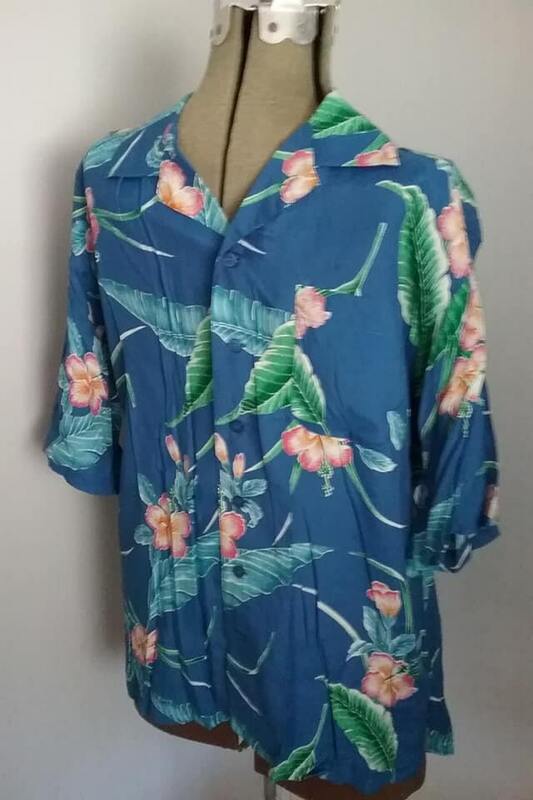 Blue Hawaiian flora shirt. 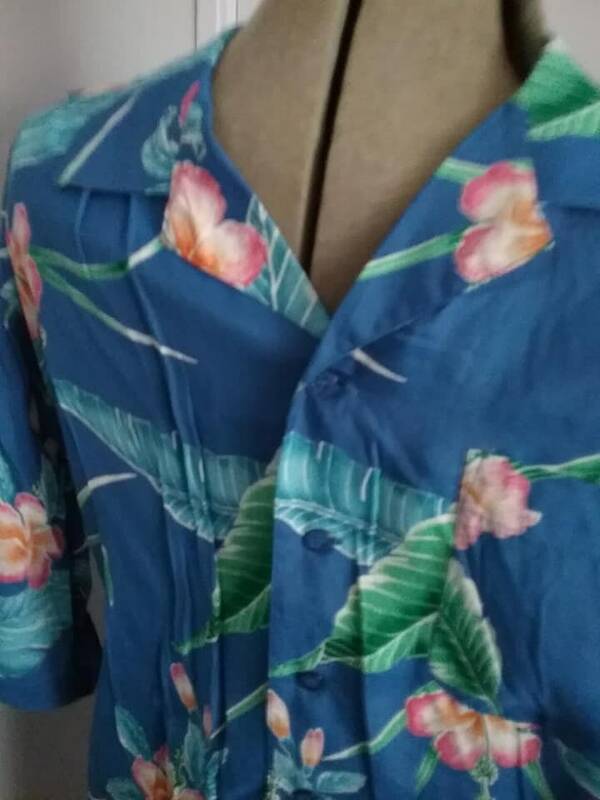 Made by, Islander, it is a cool Poly/Rayon blend. 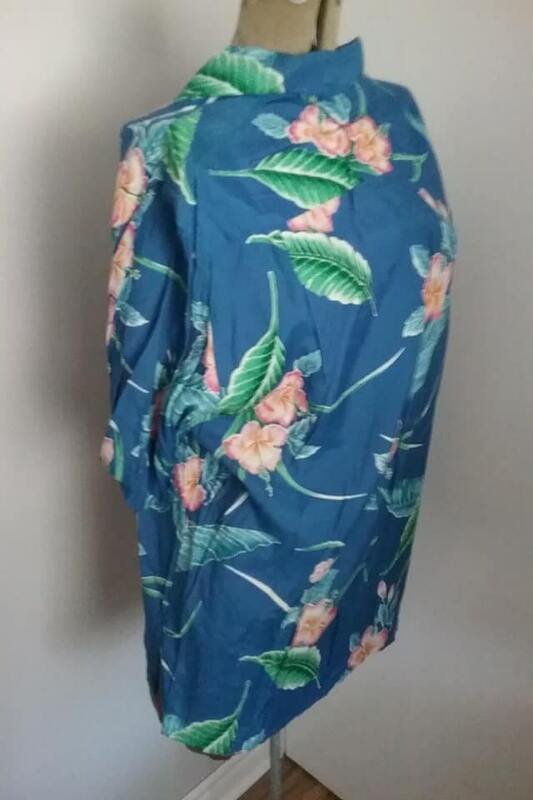 Measurements are approx 23.5" chest, and length is 28.5". 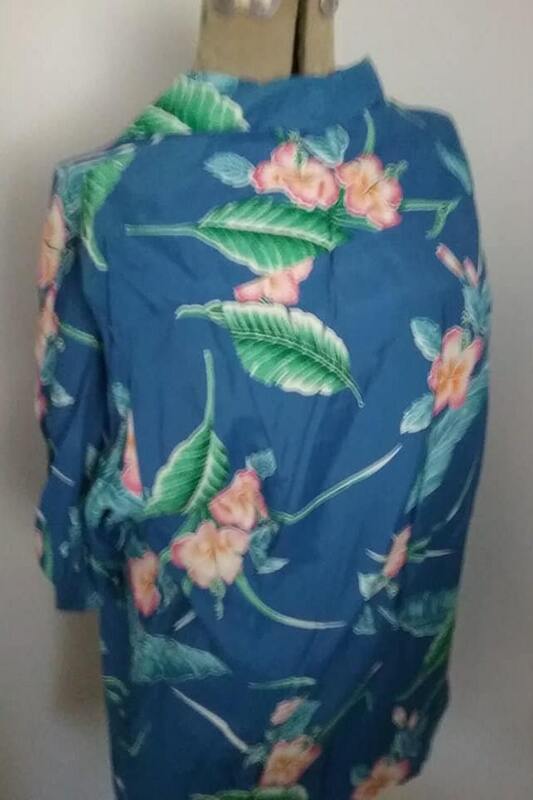 A lovely light weight shirt that will take you into summer......I bet Dad would love it!